When you receive an invitation to an event reply, you should be able to press a button to update your calendar. However there is no button present. 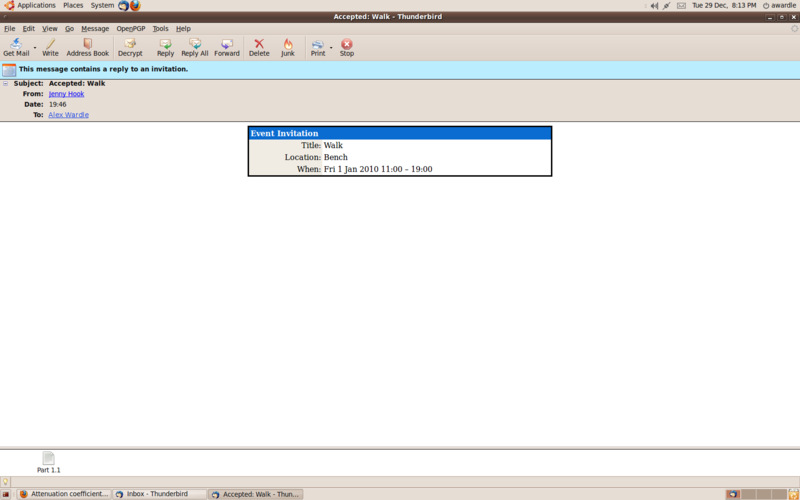 Thunderbird acknowledges that the email contains an reply to an invitation. Is this actually supposed to work? It's always been like this for me. Ever since I've started using Lightning, I always see "This message contains an event that this version of Lightning cannot process". So I just assumed support was never added to accept replies, but I've never been able to find a feature request for this upstream.